Barcelona has plenty of children friendly spaces that are a delight for kids, where the fun can also be guaranteed for adults as well! The city has made an effort to encourage families to come. For instance, children under 4 years old can travel for free in the metro. 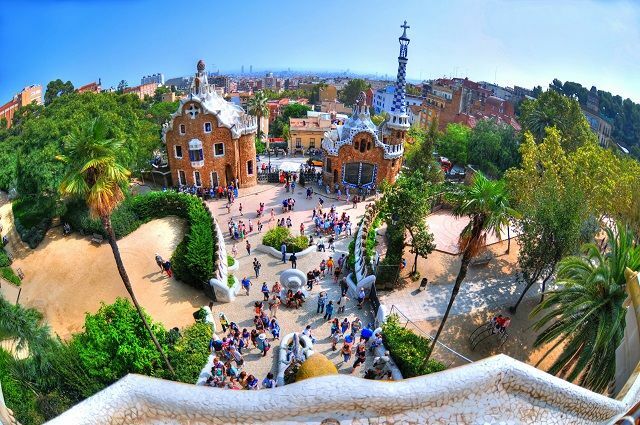 Plus, many tourist attractions in Barcelona are free or offer discounts for children kids certain ages. 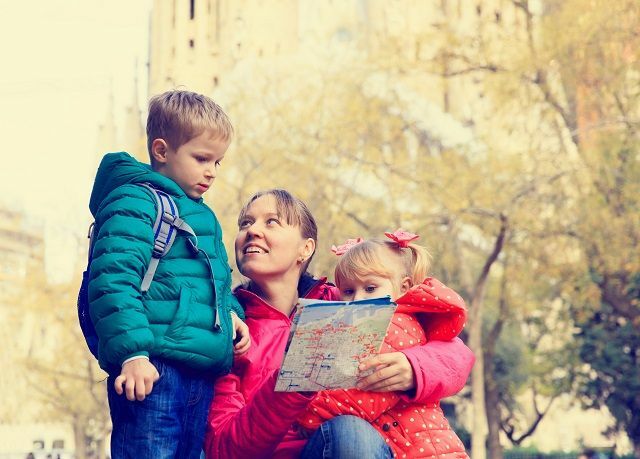 These are the most popular attractions for kids in Barcelona. This amusement park is a Barcelona landmark. Standing on top of Tibidabo mountain (overlooking the city), with over 100 years of history, it’s the oldest theme park in Barcelona. Actually, it’s the only amusement park in the city. Tibidabo Amusement Park has over 30 attractions that kids will love, all of them with impressive views of the city. Adrenaline addicts will go crazy with the 80 kph rollercoaster, the colorful ferris wheel located in the highest part of the mountain or the “Hurakan”, a ride with 360-degree turns. 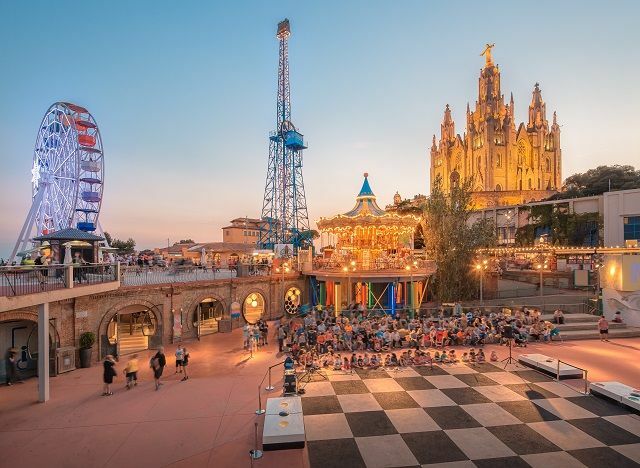 The park has all sorts of rides for the whole family, as well as restaurants and a fantastic viewpoint to enjoy Barcelona at a height of over 500 meters above sea level. The Barcelona Aquarium is one of the largest in the world. The whole family will find it to be incredibly fun and interesting at the same time. The aquarium is home to more than 10,000 specimen that come from the most diverse habitats. Here you can engage in the most breathtaking experiences with sharks, such as shark cage diving and diving with sharks. The Oceanarium, the aquarium largest space, contains over 4 million litres of water. 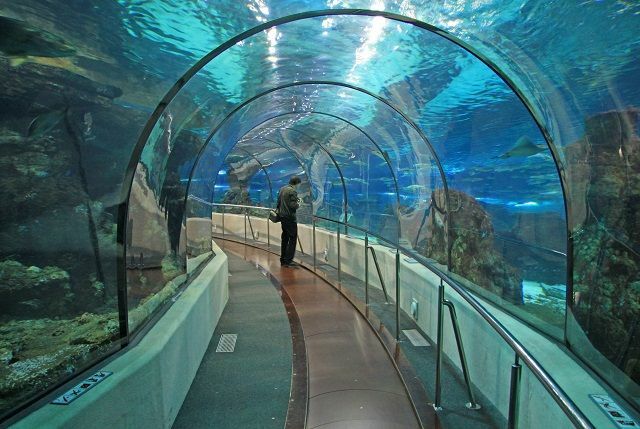 You’ll be able to explore the seafloor and take a walk underwater, through an 80 meter long transparent tunnel. The kids will have a blast in the Barcelona Aquarium. One of the biggest in Europe, the Barcelona Zoo is home to a very large number of species. The city’s mild climate allows plenty of time for the animals to make their living outdoors, pretty much throughout the whole year. You’ll be able to witness the habitats of penguins, camels, zebras, african elephants, gorillas, tigers, dolphins, giraffes, flamingos, lions, rhinoceros and hippopotamus. After the visit, relax in the neighboring Ciutadella Park, the biggest park in Barcelona. PortAventura is the most visited theme park in Spain and sixth in Europe overall. It’s one of the main attractions close to Barcelona. It features six main thematic areas with plenty of rollercoasters and rides for adrenaline junkies. One of these areas is Sesamo Aventura, decorated and featuring the characters from Sesame Street. 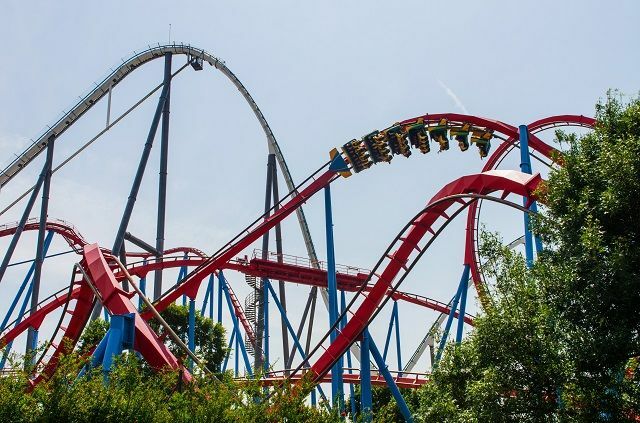 Port Aventura is a fun experience for children and adults alike. All the park’s excellent hotels have also been customized to match each thematic area. Don’t miss a visit to Costa Caribe Aquatic Park, a water themed park and Ferrari Land, for Formula 1 enthusiasts. Most museums in Barcelona are happy to welcome children, but there are a few museums that are especially designed for children and young adults. For instance, Cosmo Caixa is a science museum with interactive exhibitions that spark an instant interest in astronomy, biology and Earth Science. 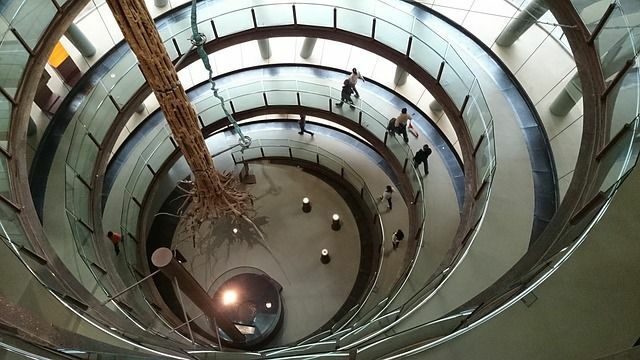 Also, on the topic of science, you can visit the Blue Museum, Barcelona’s Natural History and Science Museum. In other topics, the Chocolate Museum organizes activities for children 3 to 8 years, such as a treasure trail hunt to discover the history of the Mayan God Xocoatl, with plenty of sweet treats in the gift shop. The Olympic Museum in Montjuic not only covers the Barcelona Olympics, but also encourages children to practice sports with fun interactive exhibitions. Located in the Forum Park, this adventure playground features a variety of activities to put your adrenaline to the test. All participants will have to engage in more than 50 different challenges like zip lines, rope swings and bungee jumping, to name a few. Relaxing outdoors is a very common activity in Barcelona. Park Güell is the most remarkable park in the city, but is probably not the best one when it comes to children games. Although is not an extremely green city, there are plenty of spaces to take the kids to to play outside. 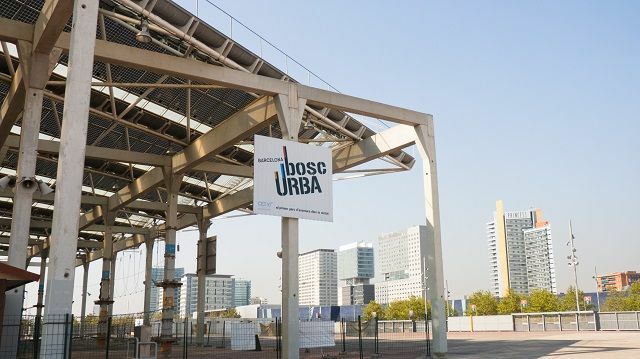 Parc Diagonal Mar. Located close to the sea and Diagonal Mar shopping center, features plenty of space for running, jumping and play areas. Parc de Joan Miró. This green area with playgrounds is located very close to Plaza España and Arenas de Barcelona. If you want to take a break from sightseeing and shopping. Parc Estació del Nord. Situated just a few blocks away from Sagrada Familia and Arc de Triomf, this green park has enclosed areas for playing, and structures for swinging and climbing. Bubbleparc. Not precisely a green park, but Bubbleparc is a fun outdoor space especially designed for kids. Located next to Maremagnum, it features attractions like a giant bubblepod or an electric Acuaboat. Most places of interest in Barcelona offer discounted prices for children and teenagers. When it comes to transport, kids under 4 years old need no travel tickets for the metro, bus or tram. In the case of museums and attractions, normally the price is reduced for ages between 5-13 years old. This may vary so remember to check before buying. Entrance to the main Barcelona attractions is included in the Barcelona Pass, so if you’re planning on making the most of your visit, buy the Barcelona Pass and start saving upon your arrival.